After a visit to the new Tirana Bazaar and presentation of Albanian products, Eric Duquenne, who for 14 years cooked for three French presidents, Jascques Chirac, Nicolas Sarkozy and Francois Hollande, for him the Albanian vegetables are very delicious, especially the leeks. Eric Duquenne: "One of the most delicious products that I have found here is the leeks. It has a very special taste. I discovered some very interesting dishes such as leek-pispilia that is cooked with leek, cheese and corn flour, is very tasty. In French cuisine we do not use this." The chef of Elyssie cuisine is In Tirana to bring his experience, especially in the cooking of the fish. But when he have to speak to the personal tastes of French presidents, Eric, is reserved in information. 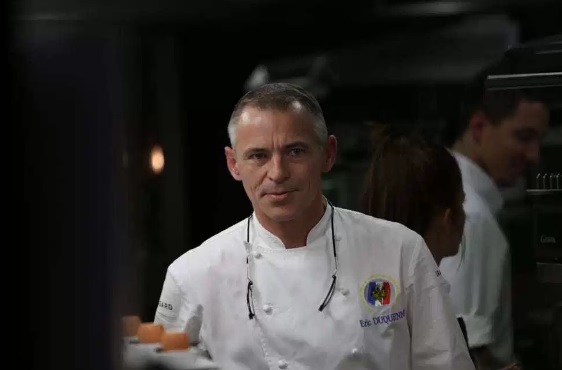 Eric Duquenne: To cook for a President means to recreate every day, I can not say who was the most temperamental, but may also reveal that former President Nicolas Sarkozy, wanted to have at each meal a plate with chocolate, while Hollande, fruits .